Ever wondered why some people seem to have a gift for music? Have you wished that you could play by ear, sing in tune, improvise and jam? You are in the right place. 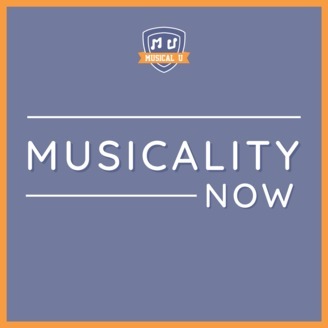 The Musicality Podcast is a mix of interviews and teaching, featuring some of the most inspiring and insightful musicians and music educators, talking about how to learn the core inner skills you need to feel like a "natural" in music and enjoy freedom, creativity and confidence. Topics include: Playing by ear, Singing in tune, Jamming with other musicians, Having a good sense of rhythm, Writing your own music, Writing notation, Improvising a solo, Talking intelligently about music, Understanding Music Theory, Clapping in time, Knowing your instrument inside and out, Tuning your instrument by ear, Reading notation, Sight-reading music, Playing from a lead sheet, Performing live, and Playing multiple instruments. 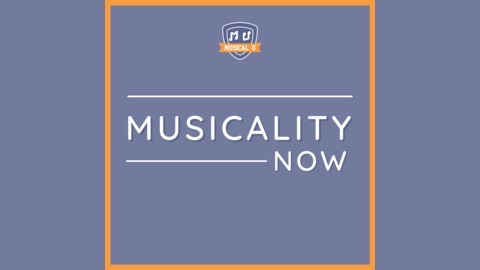 The Musicality Podcast is brought to you by Musical U (musical-u.com), the leading provider of musicality training online. Learn more and get shownotes at musicalitypodcast.com. Welcome back to Beatles Month! We’re joined today by Kenneth Womack, author of a two-volume biography of George Martin: the label head and record producer who worked with The Beatles from the beginning of their recording career and was so instrumental to their success that he is often referred to as "The Fifth Beatle". Ken’s two books were amazing to read and tell a familiar story from a perspective that was completely new to us, so we were really excited to talk with Ken and learn more about the role George played - and the conversation fully lived up to our high expectations. • The surprising state of The Beatles' original songs when they met George, how he reacted to them, and how they managed to salvage a very inauspicious start! • And what changes George made to their songs after the height of Beatlemania that is perhaps the reason they are still so renowned now, fifty years on. Preparing for this interview really made us realise really made us realise just how little we’d known about the part George Martin played in the trajectory of The Beatles and just how pivotal he was to their great success. It really casts a new and interesting light on it all, and we hope you'll enjoy learning about it as much as we did. You’re tuned in to Beatles Month at Musical U. Enjoying the show? Please consider rating and reviewing it!